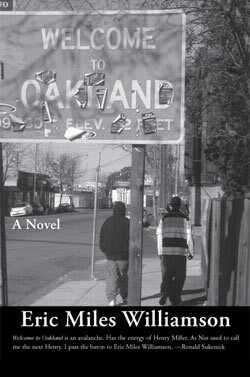 Eric Miles Williamson’s first novel, East Bay Grease, was a PEN Hemingway finalist and listed by both the San Francisco Chronicle and the Los Angeles Times as one of the best books of 1999. 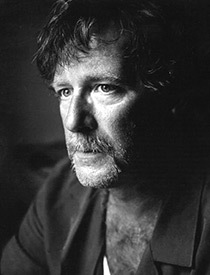 His second novel, Two-Up, was listed by the Kansas City Star and the San Jose Mercury News as one of the Best Books of Fiction published in 2006. 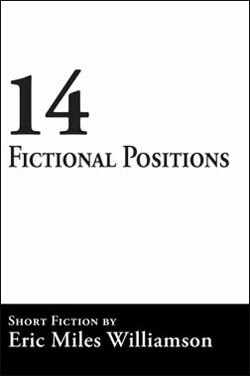 The Atlantic Monthly said his 2007 book of criticism, Oakland, Jack London, and Me, is “one of the least politically correct texts of our time.” He is an editor of American Book Review, Boulevard, and The Texas Review. Williamson is also the winner of fellowships from the National Endowment for the Arts and the Christopher Isherwood Foundation. After many years as a laborer, Williamson went to college and now works at the University of Texas, Pan American. He lives with his wife, Judy, and their sons, Guthrie and Turner.